Yes, it IS my doughnut phase! 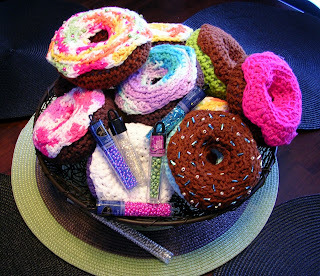 I crocheted a dozen doughnuts for fun. Found a free pattern on the Internet and used cotton yarn. I'm finishing up the beading sprinkles and will post a photo when they are done. These are sooooo adorable! Can you share the link to the pattern?